That’s a good question, one I’ve been asked many times. Sometimes the question translates, Why do you waste your time doing something that I would find more painful than shooting myself in the feet? Other times it means, Everyone blogs. What makes you think you’ve got anything to add to the pool? And still other times I’m being asked, What do you gain from blogging? Since the first two are usually accompanied by a good deal of indifference and disdain rather than a true spirit of inquiry, I’ll choose to forego them today and just deal with the last one. We bloggers have many reasons for doing what we do. I have many reasons, but today I’ll just share three: my blog is a front porch, a corkboard, and a stationary bike all rolled into one. Another excellent question. Let me explain. My blog, for me, is a place from which I can chat with the world. When I sit out on my real porch (actually, I don’t have one, so I sit on my lawn, but let’s pretend for the sake of illustration), my neighbors will often stop by and chat. I find out what’s going on with them; they ask about my life. We share information, discuss ideas, and have an enjoyable time doing it. My blog gives me that same sort of availability, the same give-and-take as a front porch, only to a much larger audience. Often I’ll drop by another writer’s “front porch” and see what they’re up to. I enjoy that interaction a great deal, so I keep on blogging. Second, my blog is a corkboard. Yes, sometimes we call it a “platform,” but that sounds so self-exalting. I’d rather think of it as a bulletin board where I can share those things most important to me in a place that’s easily accessible. 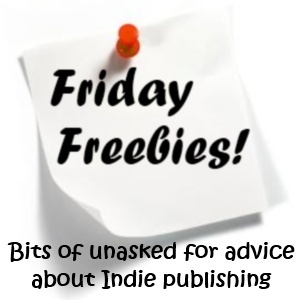 My books take highest prominence, of course, but each review and each Friday Freebie is another note pinned up for anyone to read. And last, my blog is sort of a literary stationary bike. Just like our bodies, we need to give our muse regular workouts or it atrophies. And just like softball skills or volleyball skills, our writing skills get better and better the more we exercise them. Blogging two or three times a week keeps me sharp and helps me stay in the game. Although a blog provides many helpful benefits, it also serves as a window for readers. Anyone tuned in is actually looking in on me and make judgment calls. Is she too serious? Too corny? Too sloppy in her writing? Can she write a decent sentence? Does she know how to spell? Does she know what she’s talking about? Is she consistent? Is she honest? Is she reliable? All these judgments have a bearing on my reputation as a blogger and author. Our blogs project onto our work. If readers like what they see, they might try out a book. If we’re producing sloppy, unedited drivel, however, we might as well pack up the laptop, get out the gun, and start aiming for our toes. Your turn…do you blog? Why or why not? What benefits do you derive from blogging? What downsides do you encounter? Next Beneath the Slashings, by…Oh, look! It’s by me! Erik, I think we could talk for hours. How cool would that be! Yes, I blog. I like to review books. I do it because I like to search for those special gems others haven’t heard of or can’t find on specific subjects and share them. Sorry, I haven’t been present. Just got back from a conference and I’m stil recovering. But, I share some of the same feelings that you do at times. And, I’ve cut back this summer for a number of reasons. I did notice you’ve been absent, Pat, but you had said you’d be cutting back some. It can get to be too much. How was your conference? Outstanding. I wrote a short post about it. But, returned inspired but very fatiqued. I blog because I get to meet wonderful people like you! I loved your post and agree that we need to blog to keep our writing fine tuned. Thank you, Darlene. The blogging world is full of really neat folks. Meeting them is truly a pleasure. I blog because I enjoy connecting with other readers and writers. Also, I hope to interact with middle grade readers (the audience for my book) or their teachers/parents. We try to be as professional as we can on our blog. We edit each post carefully, which isn’t to say we may not make a mistake. Still, we try to be very careful for the same reasons you mentioned above. What an excellent post! Connecting with MG readers is a great reason!